One of Coventry’s fastest growing automotive suppliers has joined forces with Morgan Motor Company to give children the chance to own and drive their own iconic British sports car. 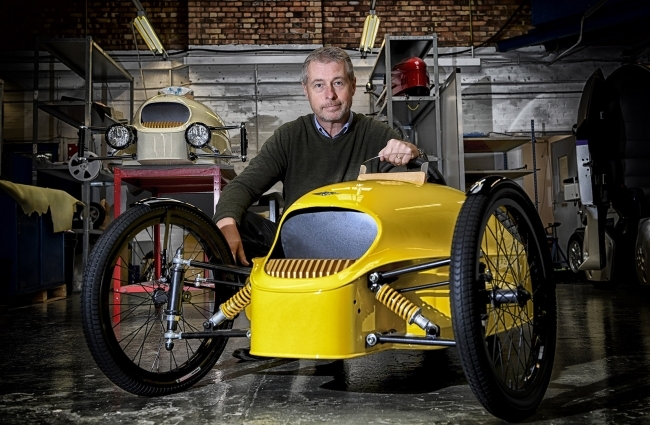 RDM Group, which has been hitting the headlines for its work in driverless vehicles, has been appointed to manufacture and assemble the EV3 Junior, a direct replica of the Malvern-based company’s thrilling and hugely popular 3 wheeler. A team of eight engineers build each car to order at the firm’s Coventry facility, with each one taking between four to six weeks to complete. To date, 14 have rolled off the production line, with one being sent to a customer in California. Tim Lyons, Chief Operations Officer, explained: “Our Advanced Manufacturing Centre in Coventry is set up to do very niche build work and assembly so we are delighted to be working with Morgan on this exciting project. 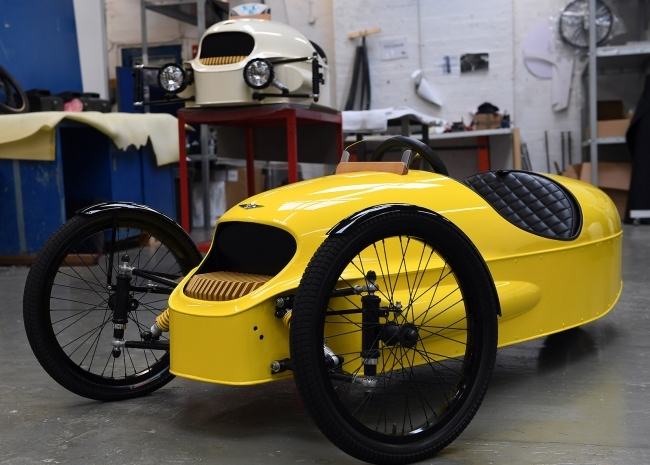 We currently do a lot of bespoke trim work for the actual full-size 3 wheeler so they knew we were capable of reaching their high standards. He went on to add: “The EV3 Junior is powered by dual lead acid battery and is capable of going 10 miles per hour and over a 10 mile range before needing to be recharged. I suppose you could say it’s the ultimate in children’s cars. RDM, which employs 66 people in Coventry, has enjoyed a significant period of growth in automotive this year, with sales set to rise by 15% in 2017. This has been achieved through an increase in volumes with existing customers and the addition of new clients who are looking for a supplier that offers design, prototyping, precision manufacturing and expertise in wiring harnesses and trim – all under one roof. There are also plans to transition into a Tier 1 supplier with JLR and other major car manufacturers looking for a technology partner on new models. “We have been making headlines with our PodZero driverless vehicle range, but this has not been at the expense of our core automotive business. There has also been sustained investment in new machinery, design software and assembly, not to mention recruitment of skilled engineers,” concluded Miles Garner, Sales and Marketing Director at RDM Group.